The Performance Waterjet Bulk Loading Hopper saves valuable time and eliminates manual handling by allowing operators to decant waterjet abrasive into the abrasive feed hopper without any manual lifting. 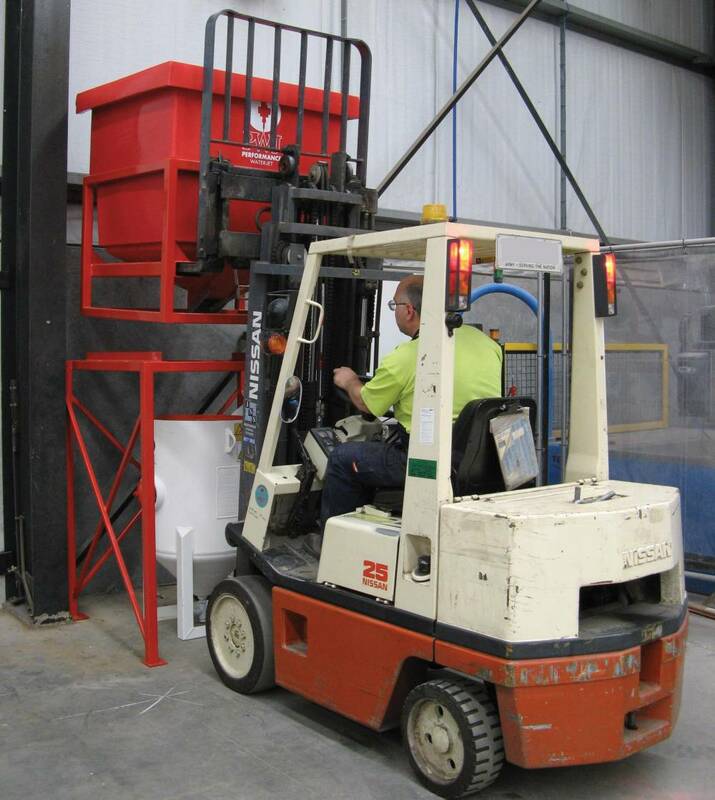 Our purpose built bulk loading hoppers are specifically designed for use with waterjet cutting machines, and can be integrated with most waterjet garnet feed hoppers. 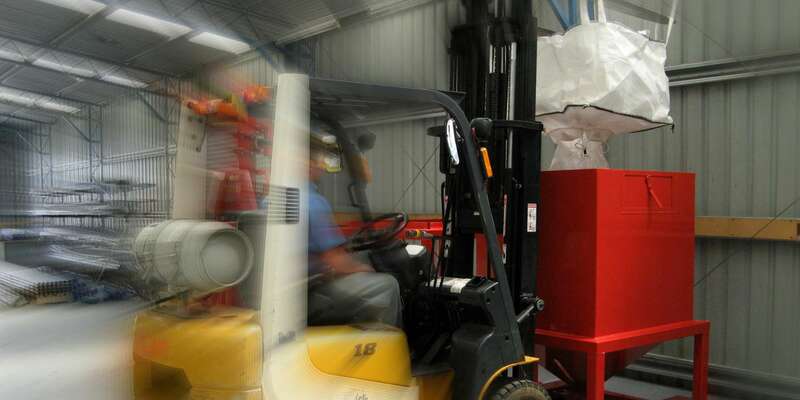 A new bulk bag of waterjet garnet is loaded into the bulk hopper, through the bulk bag chute and the lid is replaced. 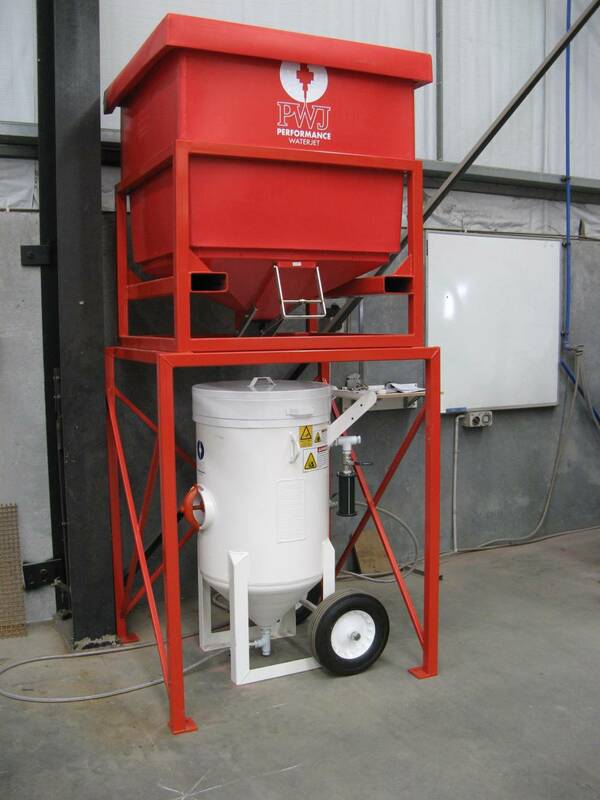 Bulk hopper is lifted back onto the stand and the garnet is decanted into the abrasive feed hopper as required.